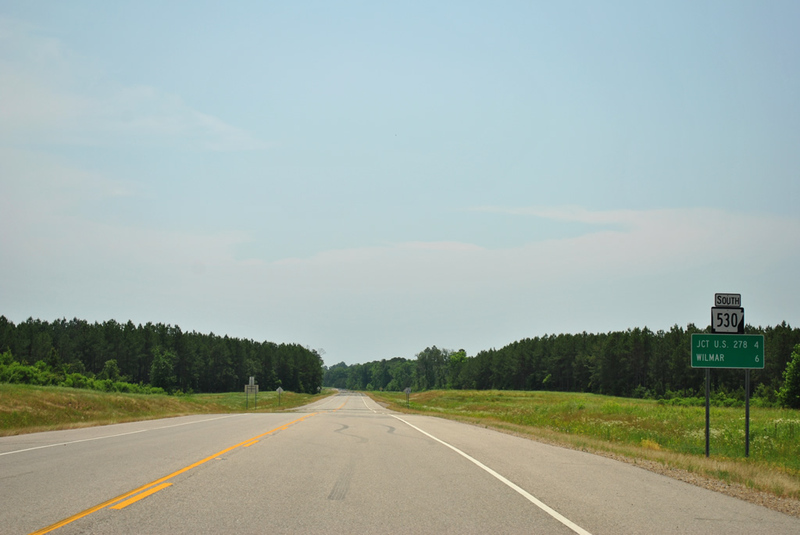 The state Highway and Transportation Department chose the apparent low bidders on $92.3 million in road projects today, including $32.2 million for a section of a planned 38-mile highway that will eventually connect Interstate 530 around Pine Bluff with the proposed I-69 in in southeastern Arkansas. Low bidder on the Route 530 project in Lincoln County was Graves and Associates Inc. of Pine Bluff. Highway department spokesman Randy Ort said grading of the 7.7 mile stretch of roadway is almost completed and the $32.2 million project will include setting the road bed and surfacing from Arkansas 212 west of Star City to Arkansas 11 south of Star City. It also includes setting the road bed and resurfacing a section of roadway from Arkansas 11 to U.S. Highway 425. 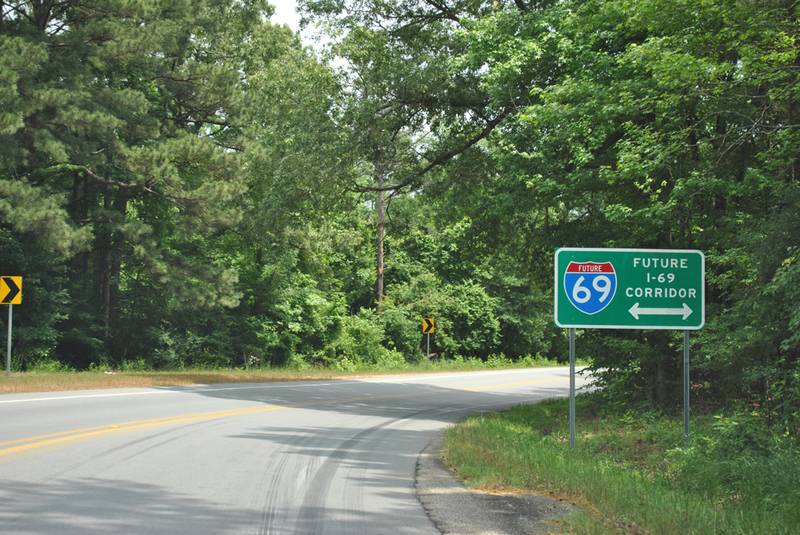 When the project and several others along the corridor is finished, the 38-mile two-lane highway, referred to as the I-530 or I-69 connector, will stretch from Pine Bluff to the proposed I-69 route near Wilmar in Drew County, Ort said. In November, highway department officials broke ground on the first phase of the I-69 project in Arkansas, an 8.5 mile span between U.S. 278 and U.S. 425 South. The overall I-69 highway in Arkansas will be a tiny portion of what will be a 2,700-mile highway from Canada to the Mexican border. Ort said $175 million has already been spent on the I-530 or I-69 connector, and when the section in Lincoln County is completed, along with the other sections, all but 9.5 miles of the project, with an estimated cost of between $50 million to $60 million, will remain. Highway officials plan to eventually widen the connector from two to four lanes and construct interchanges. Estimated cost on that project is about $350 million, Ort said. The low bid was awarded by AHTD today, March 26 (page 1/6 of pdf). In the FEIS, Arkansas projects a twenty-five year implementation schedule from 2015 to 2040, which projects a beginning four years before Louisiana's projected start date of 2019 (pages 5-7 and 5-8 of FEIS; pages 207-208/760 of pdf). FHWA issued a ROD, for I-69 SIU-14, April 27th, 2012. NLCOG is in the process of transferring the SIU-14 website from URS Corp. to our domain, but it is a painful process to work with Network Solutions. I might go ahead and post the signed ROD document on our nlcog.org homepage. I initially posted this info in the "I-69 in LA ..." thread, but I decided to go ahead and also post it here because it is noteworthy that Arkansas now has Records of Decision for the entire length of I-69 through the state. NLCOG has moved quickly and posted the I-69 SIU 14 ROD on its website. 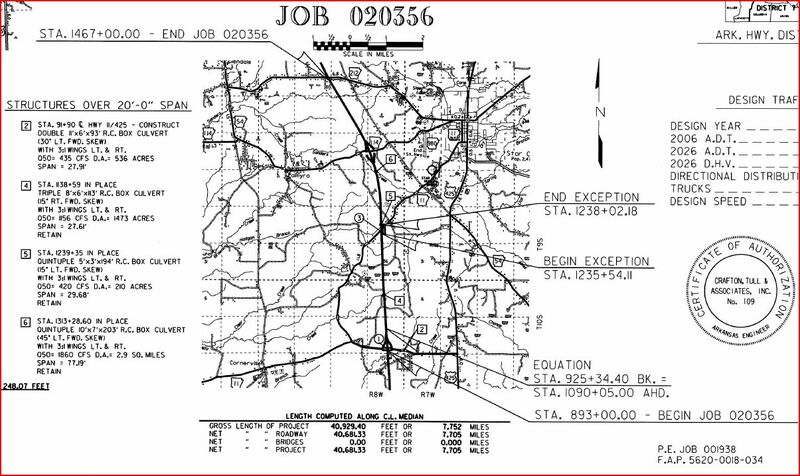 LaDOTD also has an I-69 SIU 14 Environmental Documents page. Arkansas 530 is an exiting route. Hope it gets finished in the next 5-10 years. What is it exiting? Surely you didn't mean existing. I was on Arkansas 530 a couple of weeks ago and it is really nothing to write home about, IMO. It's your typical rural two-lane road with at least one crossroad between its two termini. The only redeeming part of it was the initial footprints for the eventual ramps at Arkansas 35 and at U.S. 278 that have been cleared of trees. Grading & structures are finished at Pine Bluff. Arkansas is just waiting for the money fairy to pay for paving it. I don't know how long this sign has been along here but Google Street View does it in existence dated back to their contractors' 2009 drive-through. Thanks for sharing the photos. Great shots! Did you notice any clearing/grubbing for mainline I-69 along U.S. 278 east of Monticello? There was some utility work with a little bit of clearing just east of the sign and curve, that was pretty much it. The sign came up on us so suddenly we were surprised we even got this photo, as I was doing a little over the posted speed limit through the curve. Q: In the Preliminary 2013-16 STIP (http://www.arkansashighways.com/stip/2013-2016/2013-2016_Prelim_STIP.pdf ), Project No. 020462 is listed as a FY 2015 $69 million letting for the I-69 Monticello Bypass in Drew County. However, no mileage or other description is provided for the project. Is this letting intended for the entire "US 278 to US 278" Monticello Bypass, or is this simply the paving contract for the section of the Monticello Bypass that is currently being graded (US 425 eastward to US 278)? Similarly, if this project is for the entire Monticello Bypass, does it also include the new terrain short stub of Highway 530 that will be built between I-69 and US 278? A: 20462 is the preliminary engineering number – there are four jobs broken from that for the bypass. 20484 is the base and surface job for the 8.6 mile-section currently under construction. 20470/20481 are the grading/structures and the base/surface jobs for the 11.3 mile-section west of Highway 425. I'm guessing that the $69 million would cover 20484 and 20470. It looks like the Highway 530 stub will be a separate project. Highway department spokesman Randy Ort said .... $175 million has already been spent on the I-530 or I-69 connector, and when the section in Lincoln County is completed, along with the other sections, all but 9.5 miles of the project, with an estimated cost of between $50 million to $60 million, will remain. I do not see any projects related to the final 9.5 miles of the Highway 530/I-69 Connector in the Preliminary STIP. The routing of this interstate is a bit of a head-scratcher to me. It's no great surprise, but no projects for the I-69 Mississippi River Bridge are included in the Preliminary 2013-16 STIP, and it appears to be on hold at least through 2016 ... no SIU 12 projects approaching the bridge are included. This one was on northbound US 65, "intersecting" it between Dumas and McGehee .... The routing of this interstate is a bit of a head-scratcher to me. ^ Okay, I thought it was following I-530 for a bit; that map above makes more sense now. It was quite dark and empty out when I took the photo, so I have no reason to doubt that's at the incorrect place. They are hopeful of opening it from PB to around Star City in about a year. I thought it was following I-530 for a bit; that map above makes more sense now. 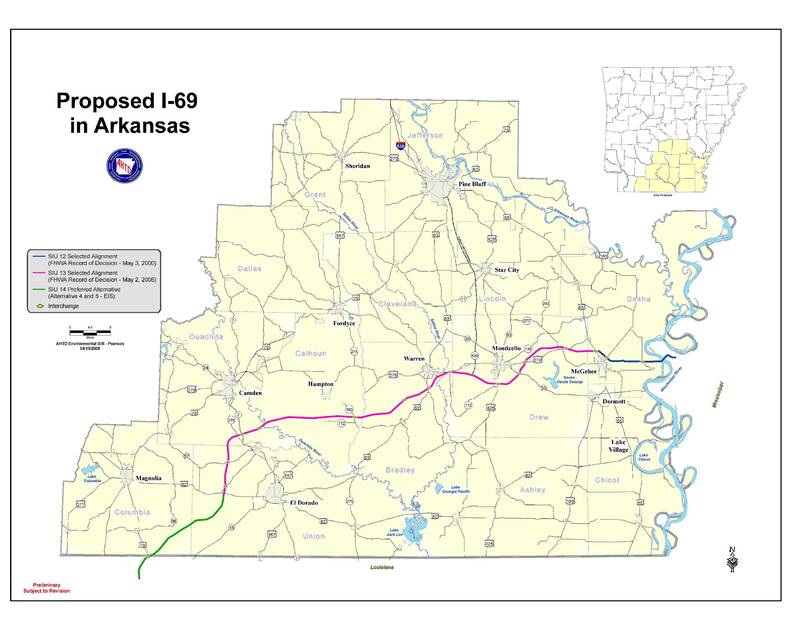 In this thread I have posted about both mainline I-69 from Mississippi to Louisiana and the I-69 Connector from Pine Bluff to Wilmar (currently projected to be temporarily designated as AR 530). Both routes are part of the statutorily designated I-69 Corridor "system" in Arkanasas, so I initially named the thread "I-69 in AR"; however, it occurred to me that doing so might be confusing to the casual I-69 observer. In an effort to minimize confusion, I have modified the name of the thread to clarify that it covers two routes, particularly as the Pine Bluff to Star City opening approaches. I guess it will be a while until I-530 makes it down to Star City being this new road is a two-lane. I believe it will be AR 530 when it first opens. Google Maps now has an aerial image of the I-69 Monticello Bypass construction. The updated Google images also provide a good view of the Highways 11/425 Connector. 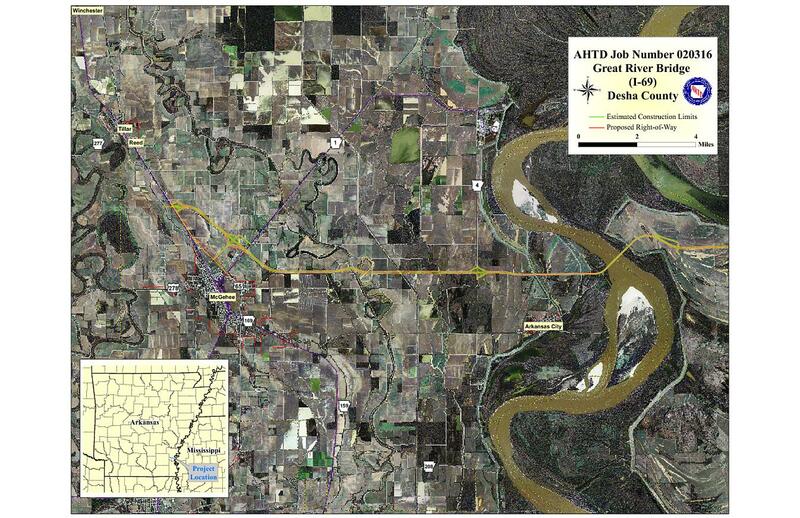 How updated are the Google aerial images of the AR 530 construction south of Pine Bluff? I'm kinda disappointed to see an at-grade at AR 54/114 even though traffic may be light bc it looks like they left no room for future upgrades. When is this road scheduled to be complete? Edit: I see the cleared trees for future ramps now. It's AR 212 that has no future interchange. From what I understand, AR 530 is planned to be initially built as a modified Super-2 with some interchanges and some temporary at-grades for now. Once the core of I-69 in Arkansas gets more substansial funding, I'm assuming they will complete the Pine Bluff Connector as a full 4-lane I-grade freeway and convert it to a true I-530 extension. Some of us would love to see it further extended S to I-20 in Monroe via US 425/US 165...but I won't get too greedy for now. Monroe? How about Natchez to BR and drop the zero from 530 leaving just I-53? That couldn't be any more perfect. The Southeast Arkansas Cornerstone Coalition conducted its annual banquet Tuesday, May 21 on the campus of UAM .... Keynote speaker of the evening was Arkansas Highway and Transportation Director Scott Bennett .... Scott Bennett covered the current status of the Arkansas Highway system and what it will take to make improvements and expansion. He reported Arkansas has 16,430 miles of state highways but only $58,536 per mile to maintain the system. Completion of the I-530 connector from Pine Bluff to Highway 278 will cost around $603,000,000. I wonder if the $603 million figure includes the $175 million already spent on the project as of March 2012 (175+60+350 = 585)? $18 million increase in estimated cost after fourteen months seems reasonable. In specific comments about I-69, Mr. Bennet stated the total project going through numerous states consists of 2730 miles and will cost $22 billion. Arkansas's portion of I-69 is 185 miles and will cost $2.4 billion.